How To : Install Wine 1.7.19 in Ubuntu/Linux Mint ~ Your Own Linux..! Wine ("WINdows Emulator", aka "Wine Is Not an Emulator") and it is the Free and Open source utility that is used to run applications designed for Windows OS on Linux/Unix platform. 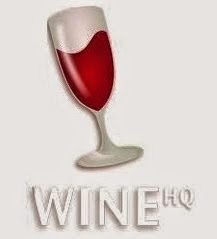 Wine comes with a software library Winelib that lets the coders to compile Windows applications on Linux/Unix platform. Wine has now reached it's latest stable version- Wine 1.7.19 and this article will guide you to install Wine 1.7.19 stable release on your Ubuntu and Linux Mint systems. What's New in Wine 1.7.19..? Deus Ex: Invisible War crashed upon loading the main menu. Wolfenstein (2009)(Steam): mouse cursor remains onscreen during FPS gameplay even after all menus are closed. Supreme Commander 2 Demo (Steam) has some rendering artifacts and many more.